Online Registration will open on Friday, March 1, 2019 and will close on Wednesday, May 1, 2019 at 11:59 pm (no race day registration). The registration code for current GBRC members is GBRC19. 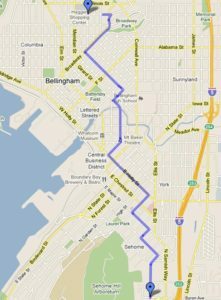 Organized and presented by Haggen Northwest Fresh and the Greater Bellingham Running Club (GBRC), Haggen to Haggen 5k Run and Walk will be held Saturday, May 4 at 8:00am. 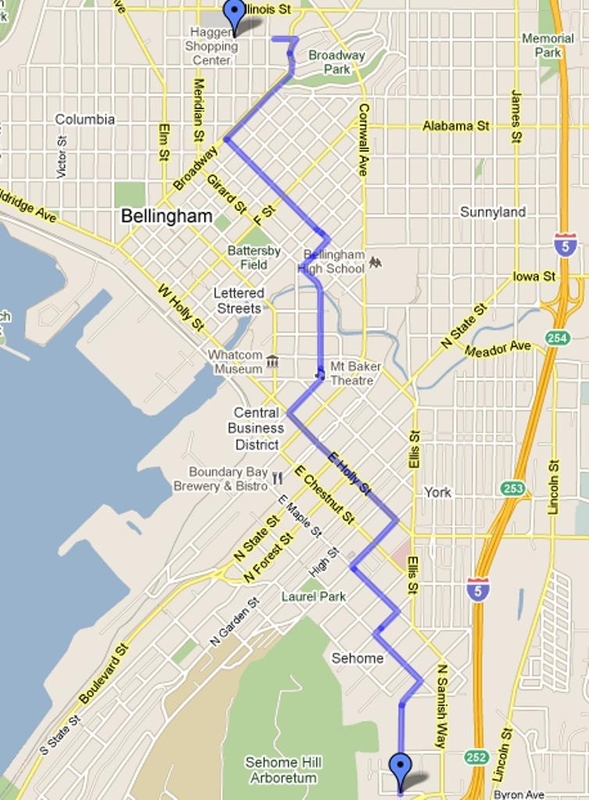 The course begins at Sehome Haggen, winds through several neighborhoods including downtown Bellingham, and ends at Meridian Haggen. 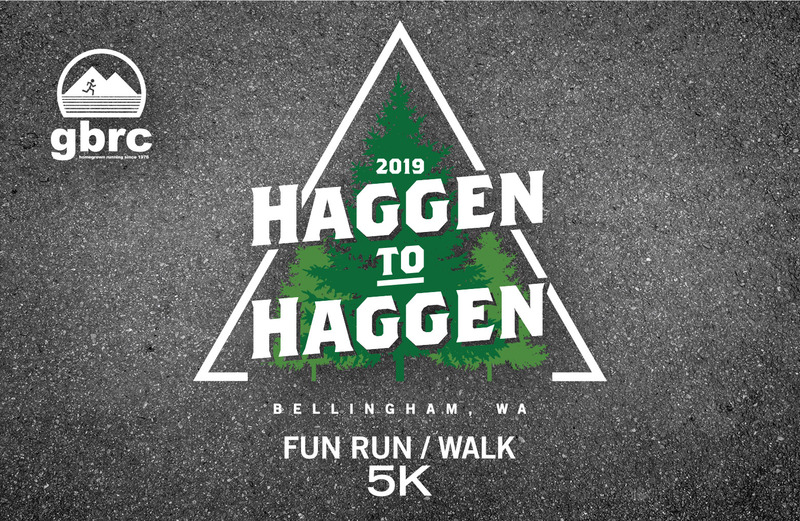 At the finish line, sponsors will be sampling great products Haggen has to offer. Shuttles will be available for getting back to Sehome Haggen starting at 8:45am. Race Shirts: Race tech shirts can be purchased during online registration or at the finish line while supplies last. 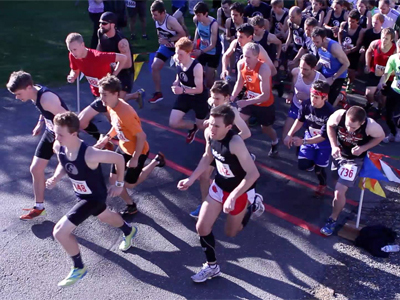 Proceeds from this event help fund GBRC scholarships to local runners and provide shoe vouchers to low income high school and middle school athletes. BBay Running and GBRC have joined together to start a program for runners to recycle their old running shoes at all our events. So bring all your old running shoes with you to Haggen to Haggen and we will take them off your hands and keep them out of our landfills. For more Info on this program go to shoe recycling & reuse atbbayrunning.com. Haggen to Haggen is a Whatcom County community event. The race is in its 26th year and in 2019 the event will be held on Saturday, May 4th, 2019. The course begins at Sehome Haggen and ends at Meridian Haggen. At the finish line sponsors will be sampling great products Haggen has to offer. Shuttles will be available for getting back to Sehome Haggen starting at 8:45am. This is a Greater Bellingham Running Club and Haggen sponsored event helps fund scholarships for college bound runners as well as shoe vouchers to low income high school runners, keeping equipment up-to-dat and providing a better quality running experiences for those in need. Please see the Haggen website for registration information including prices, etc. *NOTE: Because this is a chip-timed event, early registration is $5 for GBRC members. Please see the code included in the email announcing that registration is open.